Service to Frankfurt Hahn Airport (3-4 flights per week). The route is viable because approximately 850,000 Serbian emigrants live and work in Germany (especially in the regions of Frankfurt, Düsseldorf, Munich and Stuttgart). A survey conducted by the airport showed that 31 weekly bus departures currently are organised to Germany from the Niš region. Two times per week, with demand caused by the large, 120,000 strong Serbian emigrant community in France. Three times per week because of the large Serbian diaspora living and working in the Vienna region (approx. 200,000). In all of Austria, there is a Serbian diaspora of more than 300,000, mostly originating from the Niš airport catchment area. Great Serbians: Sporting ambassadors fly their flag – world class tennis players Ana Ivanović and Jelena Janković. 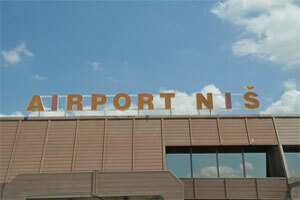 120,000 Serbs live in France – a strong reason why Niš would like a route to Paris. Another Niš “Ambassador” – the landmark hotel in Liberty Square. The airport has taken the name of the city’s most famous son – Constantine the Great, the first Christian emperor of the Roman empire. 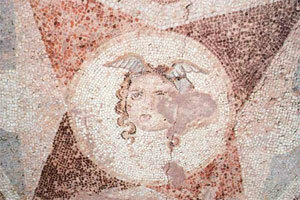 This Constantine mosaic is from a nearby Roman villa. In more recent times, the city’s attractions drew the VIP Beach Masters beach volleyball tournament. Niš is the largest city in south-east Serbia. Through its long history, Niš has been located in different states and empires, playing the role of an administrative, military and trade centre. The city’s location also is along an important transport route, which connects Europe and Asia Minor. The effects of the different people that have ruled Niš is noticeable in the cultural heritage of the city, primarily in the architectural diversity. Examples are found among the many historical monuments, museums and archeological sites – The Fortress, Cela Kula, the Mediana and Cegar. 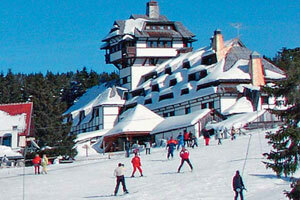 Serbian tourism is developing in the areas surrounding Niš Airport (ski resorts, cultural and historical monuments, spa and countryside tourism). The great number of emigrants from this part of Serbia in many countries around Europe and the world cause a large traffic demand. With Serbia being on its way to become a full member of the liberalised European Common Aviation Area, full third and fourth freedom rights already have given European Community carriers unrestricted access. With liberalised air services agreements with the European Union, southern Serbia’s ski resorts have significant potential to attract visitors. 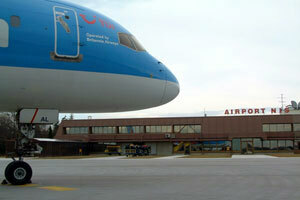 The airport is equally keen to assist with airline discounts and incentives. Nis International Airport offers new route discounts on standard airport charges for airport services, depending on the route frequencies and load factor. The PE Airport Nis and the City of Nis Authority are ready to support and participate in marketing and advertising campaigns. The 2.2m catchment constitutes 46% of Central Serbia (or 38% of Serbia as a whole). Niš itself, Serbia’s third city and the largest city in South Serbia, is 240km distant from Belgrade, so its the 250,000 citizens require stong local connections. Niš, southern Serbia’s main city, offers a closer catchment to the neighbouring Bulgaian capital Sofia, just 150km to the south, than it does to Belgrade, 250km to the north. The area covered by the Airport “Constantine the Great” in Niš makes 46% of Central Serbia (or 38% of Serbia as a whole). Within the covered area, there are 2,120,317 inhabitants (according to the Census of 2002), 31 faculties or colleges with about 26,000 students. 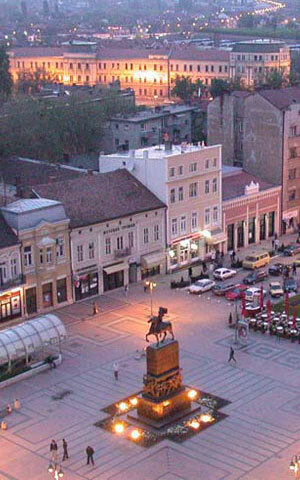 Niš, as the greatest city in South Serbia, has about 250,000 inhabitants. With the new regulations (ECAA), simplification of visa regime, further spreading of the network of low-cost carriers from Serbia, will increase the traffic and therefore the catchment area will expand out of Serbian borders. 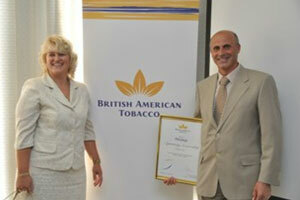 Keen to emphasise its role as a responsible investor, British America Tobacco, awards a small local businessman for enterprise. 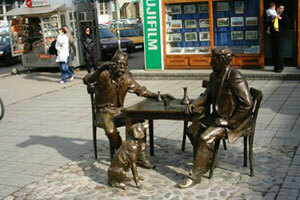 Philip Morris is another major player in this centre of cigarette production. 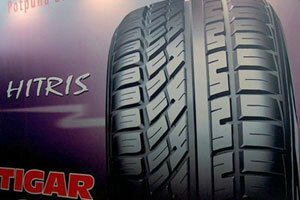 Meanwhile, Michelin Serbia has changed the name of its nearby Serbian plant to Tigar Tyres, which is now marketed across Europe as a budget brand. The airport is located very near to two arterial roads on the Corridor 10 (the road and the railway) leading toward the east (Bulgaria, Turkey) and the south of Europe (Greece). This makes development possibilities in the sphere of inter-modal transport of goods easier. Due to its location, the airport in Niš naturally attracts large parts of the population and industries in south and southeast Serbia, including the areas around large industrial centres; Kraljevo, Kruševac, Jagodina, Zaječar, Pirot, Vranje, Leskovac, Prokuplje and Niš, where major companies are located. After privatisation, these have in many instances become foreign owned. Examples of local companies are Philip Morris, British American Tobacco, Michelin, Henkel, Nevena, Knauf etc. Once an important city in the Roman Empire and a centre of Byzantine Civilization, Niš is still today a large city straddling the corridor from Belgrade to Sofia and south to Skopje, Thessaloniki and Athens. 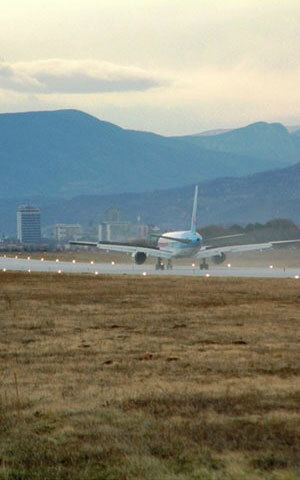 The airport “Constantine the Great” is located approximately 4 km from the centre of the city of Niš. 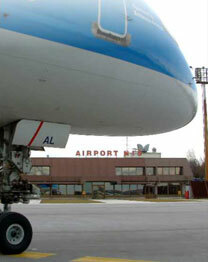 The airport operates a bus service between the airport and the city. There are further bus lines to all towns in Serbia and neighbouring countries. Immediate links to the heartland of the Balkans, the south of Serbia and the intersection of roads on the Corridor 10. 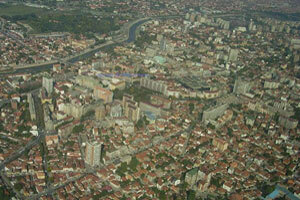 The main Corridor 10 highways go from Belgrade east to Sofia and south to Skopje, Thessaloniki and Athens. Single terminal, approx. 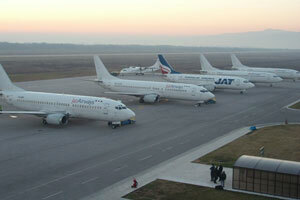 1,700m2 in area, capacity of approximately 100,000 annual passengers. Plans for the construction of a new terminal in place.